Social proof has always been a strong sales driver. That’s why reviews aren’t just beneficial, but necessary. Critical. So… how do you get product reviews? Well, there are two ways. The first is to make them up. And this isn’t recommended. Prospective buyers should not be underestimated. Chances are good that they’ll notice something’s up. Provide a special benefit for reviewers. For example, offer an X% off coupon on their next purchase in exchange for a review. Or have a huge sale on your new products - like 50% off - to get initial buyers in the door. So to speak. Real product reviews are gold. And should be made priority on new products. Also, a lot of retailers tend to place them at the bottom of the page. Placing reviews higher up on the page can dramatically improve a product’s performance. A 35% increase in sales sounds good, right? If you don’t have a Social Media presence, or aren’t using yours correctly, you’re missing out. Social media has a huge influence on where people shop. Larger than any other channel, in fact. Keep generating leads, keep emailing your list - but don’t overlook the power of social media. Paid ads are okay, but when you have real people sharing your posts with their friends - that’s gold. Shipping costs can be a bit of a resistance factor when shopping online. An easy way to get around this is to factor shipping into your price, and offer free shipping. As long as your prices stay competitive. Else $1-3 shipping isn’t all that much, and most will be willing to pay that. But what causes abandoned carts more often than price of shipping? Our instant gratification generation wants to be able to buy from the comfort of their own home. But waiting for that delivery? No sir. Make sure you don’t only offer free or cheap shipping, but fast shipping. Major retailers and their next day delivery made this an absolute must. High quality images, when used effectively, can make a huge difference to your sales page. There are a few good free image sites that have high quality images. Like Pixabay and Pexels. Alternatively, a paid membership at iStock or another similar platform gives you a wider variety of images. But in most cases, you’ll want to use photos you’ve taken. Photos of the product in action. GIFs could also work here. If you’re handy with photoshop, check out this easy tutorial on creating your own GIFs. An increase of 200% sounds crazy. But it’s true. Live chat has shown to have a huge impact on sales. This is especially true when you have a more complicated program. But it works in most cases, as you never know when someone just needs a single question answered to close the sale. According to the same source as above, conversionxl.com, videos can raise your conversion rate by as much as 400%. - Marketers who use video grow faster by 49%, on average. - Social media videos get 1200% more shares than text and images combined. - 64% of consumers made a purchase after watching branded content online. These statistics and more can be found here. And they paint a pretty clear picture. If you’re not using video content, you should be. Your shoppers buy at all times of the day and night. So, depending on your size, you may want a night shift to increase your effectiveness. This is especially true if you’re selling internationally. If only locally, you may at least want to be available to process orders until midnight. 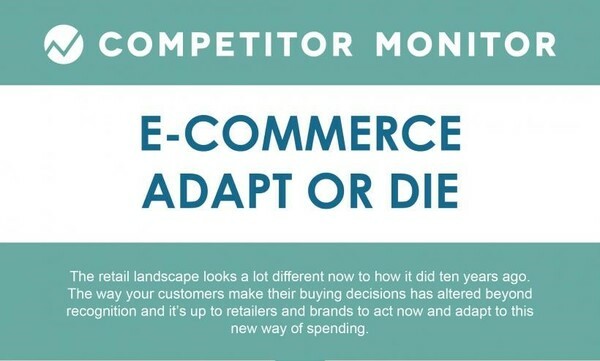 These are our top picks for staying relevant in the modern world of eCommerce. And thus growing even more as a business. Which are you already on top of? Which do you need to work on? Let us know in the comments below. We’re always happy to hear from our readers. Another aspect of modern copywriting is keeping up to date with your competitors. If you know when they’re out of stock, when their prices change, etc. - you’ll be able to make split-second decisions that could give you the edge.